Camfil USA is pleased to announce that it will expand its North American production capacity, and hopes to complete the project by 2019. The expansion is expected to increase capacity for products that include Megalam, Absolute, Filtra 2000, Durafil, and other air filtration products by 50 percent. 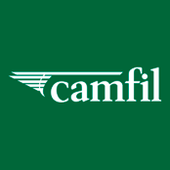 The expansion will not only spur future growth, but is also expected to boost existing North American Camfil branches, as well as Camfil distributors and other end users by reducing lead times and lowering transportation costs. The company’s Crystal Lake, Illinois manufacturing facility has been selected as the site that will receive the expansion investment. The Crystal Lake facility has been a mainstay in the region for nearly 50 years, and in 2013 the company completed a $1.9 million enhancement project that included improving its energy-efficiency, and shoring up safety systems. That same year, the facility also received a Community Investment Award.